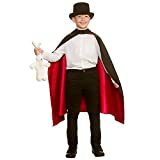 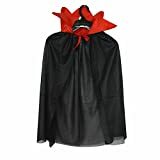 Cape in 3 lengths; 24" 32" and 48"
Impressive, easy-to-master tricks encourage confidence, and help develop fine motor skills and hand-eye coordination. 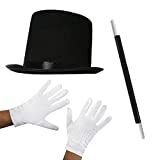 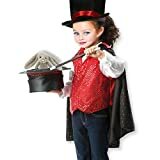 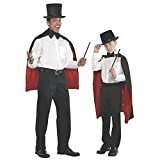 10 classic tricks include Disappearing Ball, Magic Coin Box, Secret Silks, Great Escape, Magic Number Prediction, Money Maker, Egyptian Prediction, Vanishing Zone, Cylinder Squeeze and Vanishing Coin. 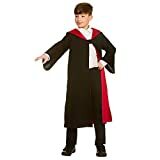 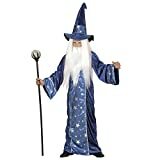 THIS COSTUME SET HAS PASSED AN EN71 AND IS CE MARKED FOR SAFTEY.